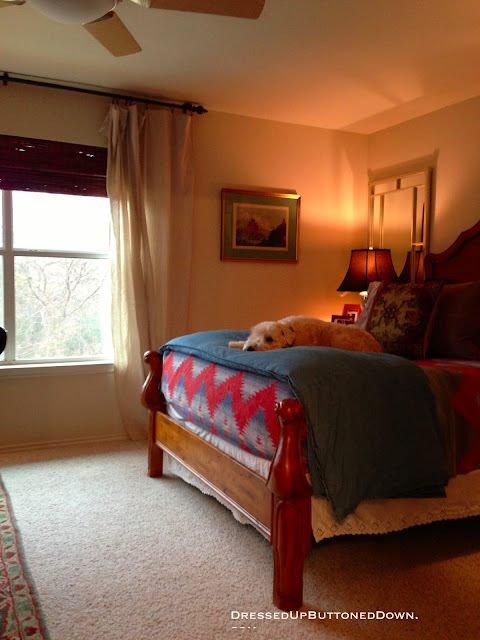 I change the look of my bedroom by changing the linens, coverlets or quilts. This is my favorite Winter look - a mix of color and texture. I am afraid I didn't get photos of the sheets which are Ralph Lauren oxford cloth blue and white stripe for the top and solid blue for the bottom. I love the details on the pillowcases - buttons used to close them! 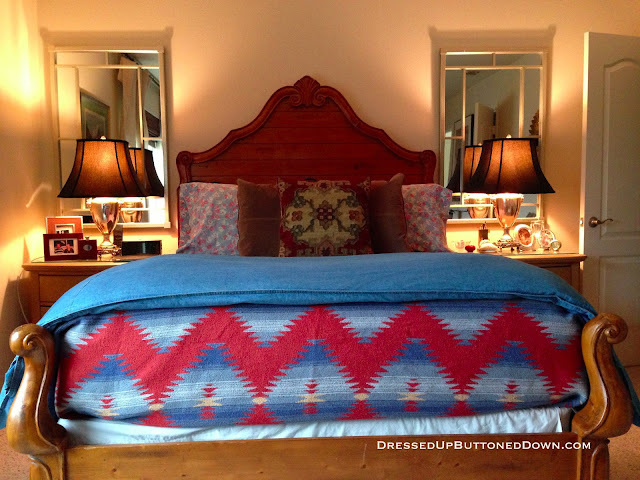 The RL cotton blanket contains the base colors. The duvet, also RL, is made from lightweight denim with "Levi" fasteners to close. 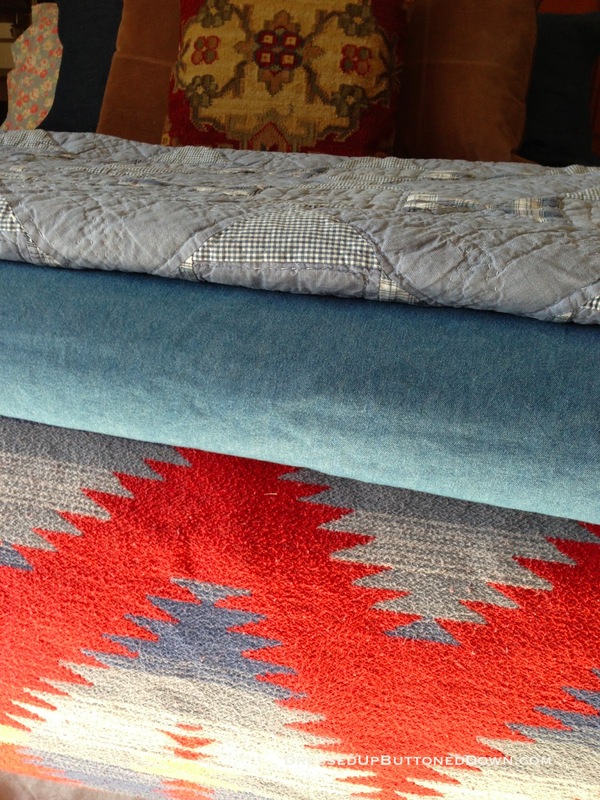 The patchwork quilt is vintage all cotton and something I use most of the year in one form or another. The Kilim pillow is Pottery Barn and is a very stiff vintage look. 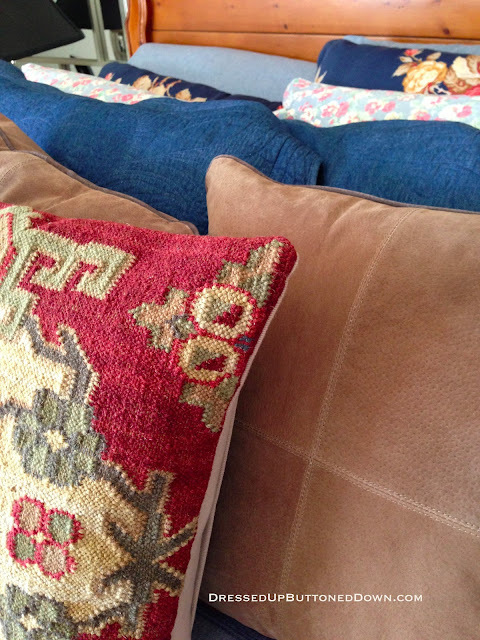 The two pigskin throw pillows I stumbled across at HomeGoods for less than $30 for both! The indigo denim shams are part of a set I bought from an Etsy dealer some years ago. All cotton and made from recycled demin. Beautiful. Milo is pretty happy with the choices too. The day these photos were taken, it was about 30 degrees outside. He is perfectly happy to snuggle down and enjoy the bed.